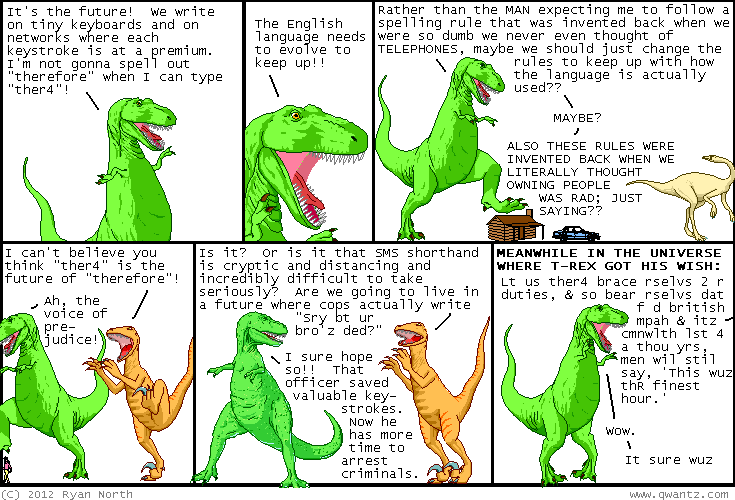 Dinosaur Comics - July 17th, 2012 - awesome fun times! –And this sublime satisfaction need no longer be limited to film! One year ago today: perhaps a better way to phrase this is, who would win in a fight: a dinosaur or a non-dinosaur?